Check out the new features at the Network Monitor Team Blog Beta announcement. Microsoft Forefront Threat Management Gateway (TMG) 2010 Service Pack 1 was released at 6/23/2010. • Denial notification pages can now be customized for your organization’s needs. 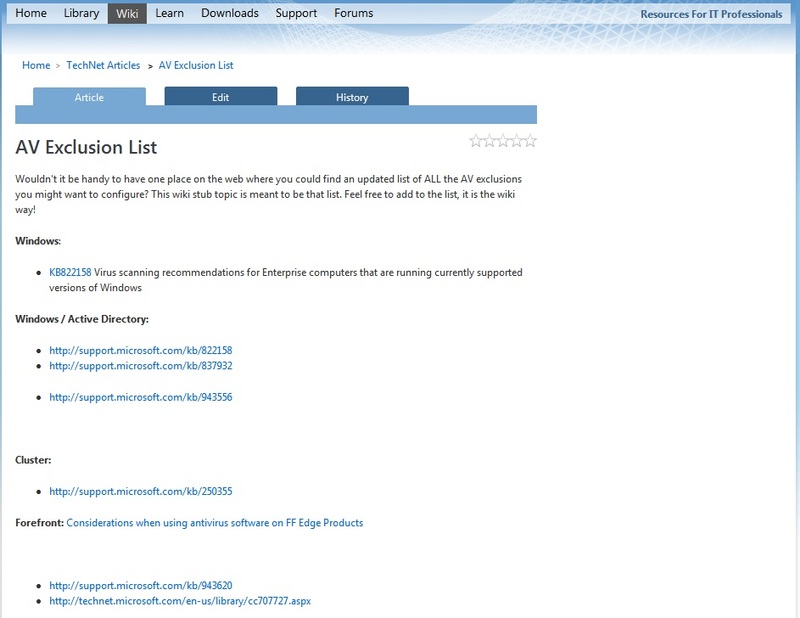 Wouldn’t it be handy to have one place on the web where you could find an updated list of ALL the AV exclusions you might want to configure? This wiki stub topic is meant to be that list. Feel free to add to the list, it is the wiki way! Another great article from Kevin Holman, this time Kevin explains how to configure Opsmgr to alert you when security is compromised. 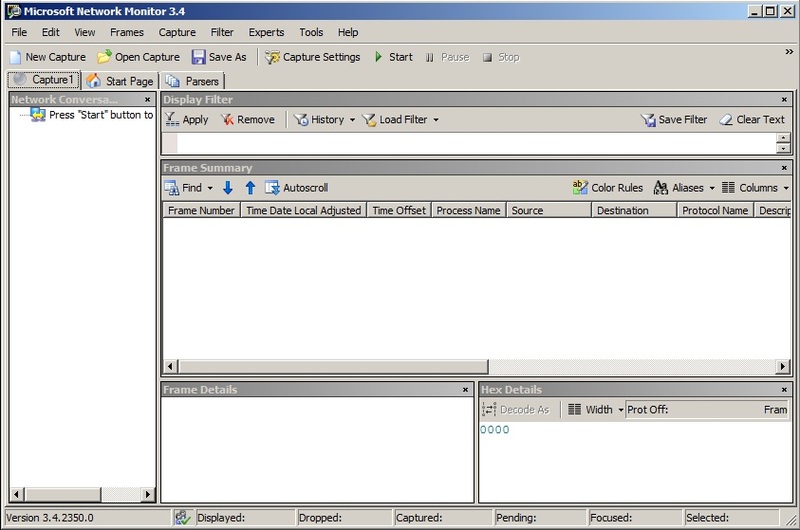 AdExplorer v1.3: This update to AdExplorer, an Active Directory editor, has major node expansion performance improvements and a number of minor bug fixes. VMMap v2.6: VMMap, a powerful process virtual and physical memory analysis tool, now shows both graphical and numeric breakdowns of private virtual memory, as well as heap configuration flags. Disk2vhd v1.5: Disk2Vhd v1.5 works with Hyper-V SCSI direct-attached volumes and reports an error when a snapshot includes offline volumes. LiveKd v3.14: This version of LiveKd has better detection of the Debugging Tools package installation and launches the debugger in a mode that skips the unnecessary root-cause analysis of the virtual dump file. Sigcheck v1.66: This update to Sigcheck, a file version and signature checking utility, fixes a bug in the certificate revocation check logic. Microsoft’s security operation have issued an initial response to the issue with machines blue screening and failing to reboot correctly after installing MS10-015. While we work to address this issue, customers who choose not to install the update can implement the workaround outlined in the bulletin. CVE-2010-0232 was publicly disclosed and we previously issued Security Advisory 979682 in response. Customers can disable the NTVDM subsystem as a workaround and we have provided an automated method of doing that with a Microsoft Fix It that you can find here. Customers who are experiencing issues after installing any of our security updates can get help resolving the issues by either going to this site or by calling 1-866-PCSafety (1-866-727-2338). International customers can find local support contact numbers here.